Indian market holds the potential to have F-1 machines running again in the country. 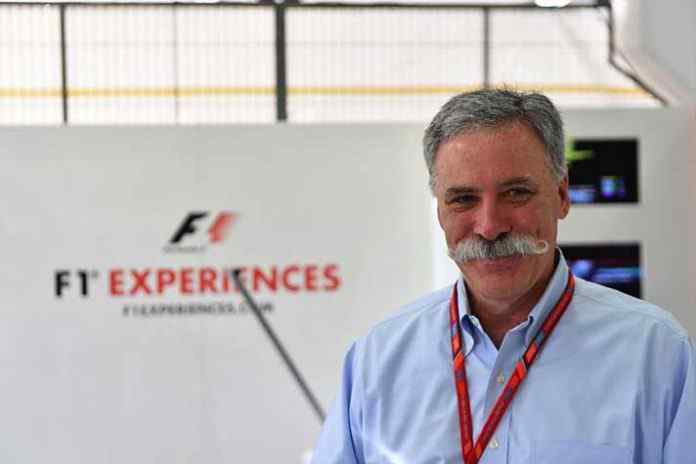 The F-1 Chief Executive Chase Carey has hinted at return of the Indian Grand Prix. “India is a country that certainly has great potential and as we go forward, we will continue to study,” Carey has told news agency PTI. “We have so far not got a chance to engage in depth yet, it has only been a little over half a year since the complete change in ownership. But there are places around the world that present us with great opportunities to grow the sport overtime and certainly a country like India with the success and the growth it has had in recent years, makes it an exciting opportunity down the road,” Carey said. Carey’s Liberty Media had taken complete control of F1 in January last year to end Bernie Ecclestone’s 40-year reign as the Formula 1 Supremo. There are no conclusive plans for F-1’s India return as yet. “Our focus as of today is making sure that the 21 races next year is everything as it can be,” Carey has said. This indicates even if the F-1 CEO was keen on capitalizing from Indian market’s strengths, there seem no serious materialization plans behind the thought as of now. Carey though has said that he would continue to evaluate India’s return on the F1 map. Asia is a “tremendously” important region for the sport and India figures in their scheme of things for the future, if not now, with the calendar already packed till next year. He reiterated that India should have a Grand Prix considering its rapid growth as a nation. India had last hosted an F-1 GP event in 2013 at Greater Noida’s Buddh International Circuit. The Indian Grand Prix has taken place for three years from 2011 to 2013. Taxation and administrative challenges then forced the F-1 to withdraw the event from India.